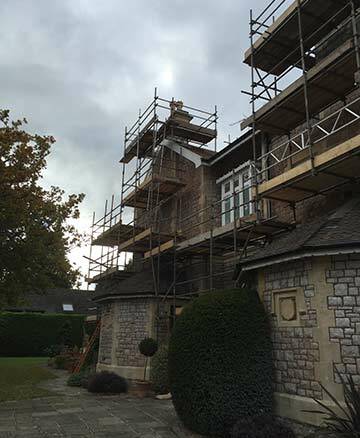 Scaffolders Bristol: As one of the most reputable scaffolding erection companies in the Bristol area, we have gained invaluable experience in constructing all types of unique scaffolding solutions. 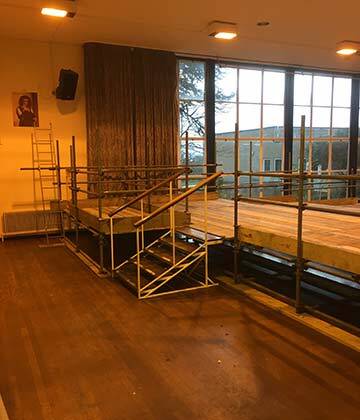 From indoor and outdoor temporary staging and lighting rigs, to temporary walls for art displays, right through to various safety solutions including gantries and other access routes and handrails for safety, CVSS are your local expert scaffolders in Bristol and Bath with plenty of satisfied customers who are delighted with our prompt and reliable service. The skilled team here at Chew Valley Scaffolding Services are used to being very flexible and inventive in their approach to finding scaffolding solutions to areas with restricted access or unusual shapes, and the team are just as experienced in erecting scaffolding at historic properties as contemporary new build residential and other developments. If you need scaffolders in Bristol or Bath then you can’t go wrong with Chew Valley Scaffolding Services.Please give us a call or email us for friendly advice about the range of scaffolding services we offer, and to discuss prices.